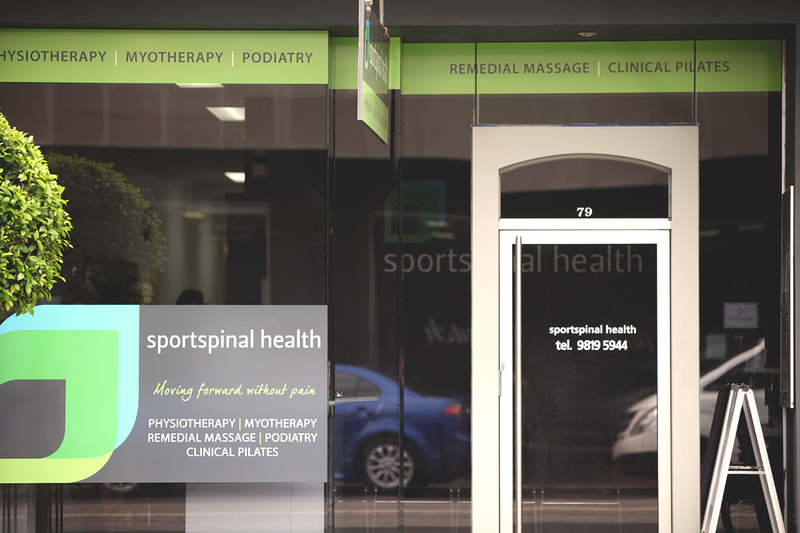 Sportspinal Health has been providing expert Physiotherapy, Clinical Pilates, Podiatry and Remedial Massage and Myotherapy services to the people of Hawthorn and the surrounding communities since 1998. Our Therapists are skilled at treating sports and spinal injuries and pride ourselves and curing and preventing the most stubborn injuries. Our mission is to provide excellence in allied health care services. Our therapists have wide and varied backgrounds and provide treatment for all musculoskeletal conditions, varying from acute sports injuries, to the most chronic spinal injuries. Over the years the clinic has grown and expanded its services. The introduction of clinical pilates, podiatry, remedial massage and myotherapy enhances your rehabilitation as well as providing another option to prevent injury. At Sportspinal we are committed to providing greater options to elimnate your pain and stop it coming back!